I have been a gardening maniac for the last few weeks. With the late spring, it feels like things are moving along quickly and there is SO much work to do just to get the gardens set for the season. When I need a break from the physical labor of gardening I will sometimes grab my camera and stroll around the grounds to take some photos. 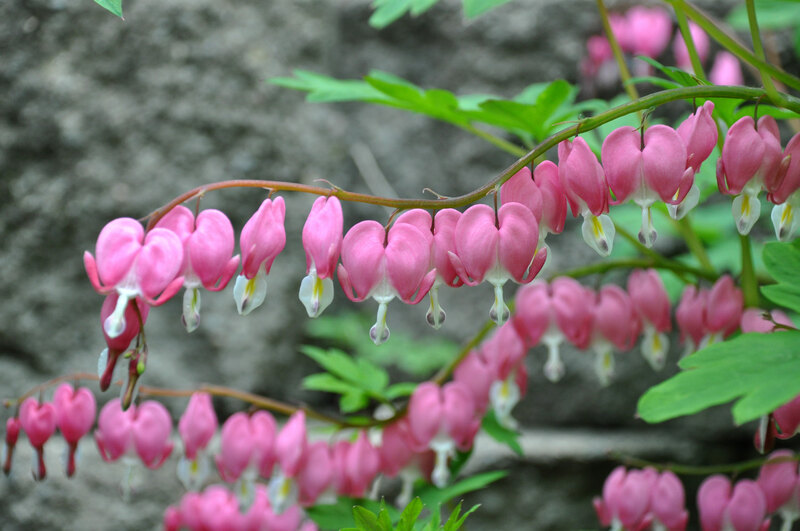 My bleeding hearts are in full bloom behind the house. Such magnificent flowers! Volunteer Violets are blooming in the garden too. My Grandma called them “Johnny Jump-ups” and they will always remind me of her. As a small girl, when I would go to visit she would always send me home with a bouquet of these flowers for my mom. They were prolific at her house, almost like weeds. She would wet a paper towel, wrap them gently around the stems, and finish it off with tinfoil to hold in the moisture. I was always so proud to bring these little gems home to my mom, who would put them in a very small crystal vase and place them in the windowsill. It is these memories that make my heart happy each spring when these lovely flowers appear in my garden. And then there are the tulips. 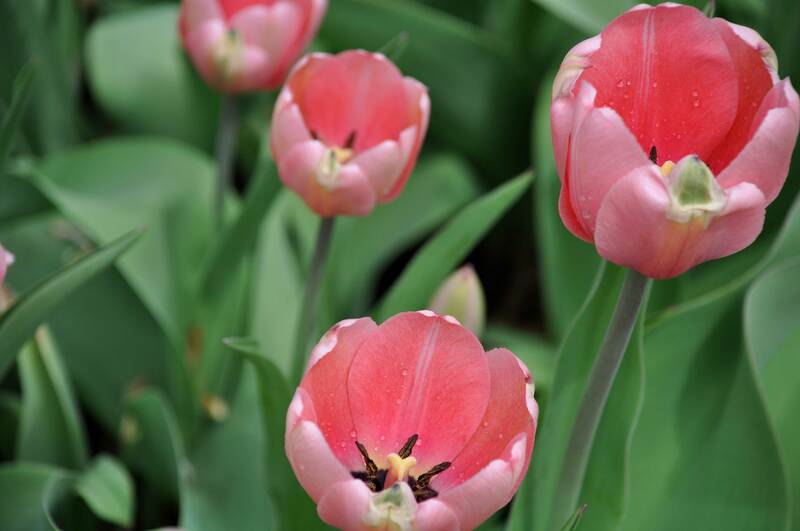 One can never have enough tulips. I do not have enough tulips. I need to remember that this fall. I really do need to plant more tulips. They are such a beautiful way to welcome spring. I planted these a few years ago when I put in my new Magnolia tree. I don’t even know the variety, but I really do love them. 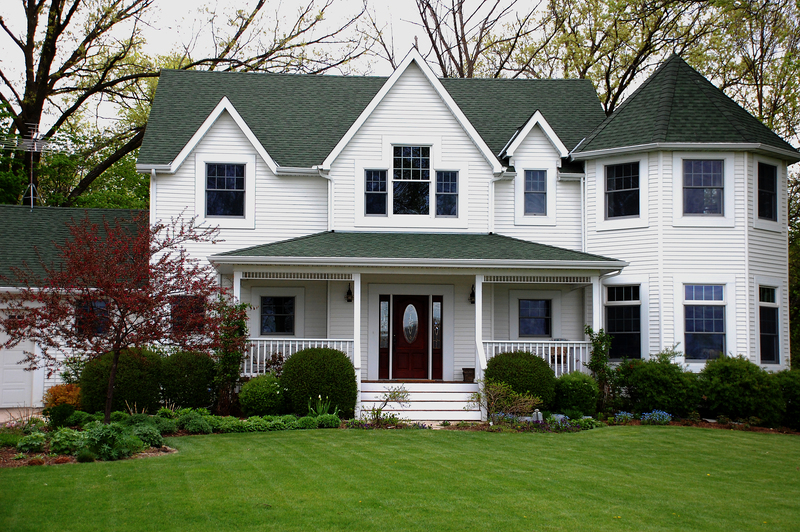 The bright color stands out boldly from all the green spring foliage and makes a real statement. 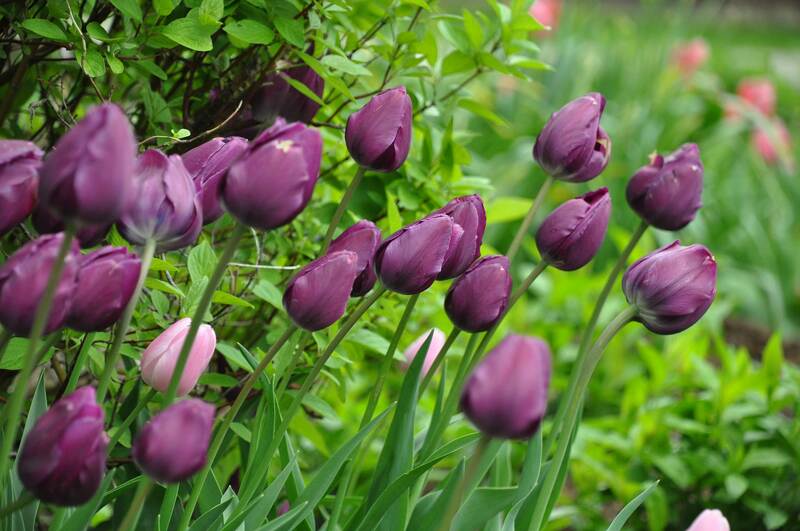 These purple tulips are pretty too, but their color is more muted and seems to get lost a little in the sea of spring green. I’m not complaining though. They are beautiful too. I have a lot more pictures of spring blossoms and flowers to share. 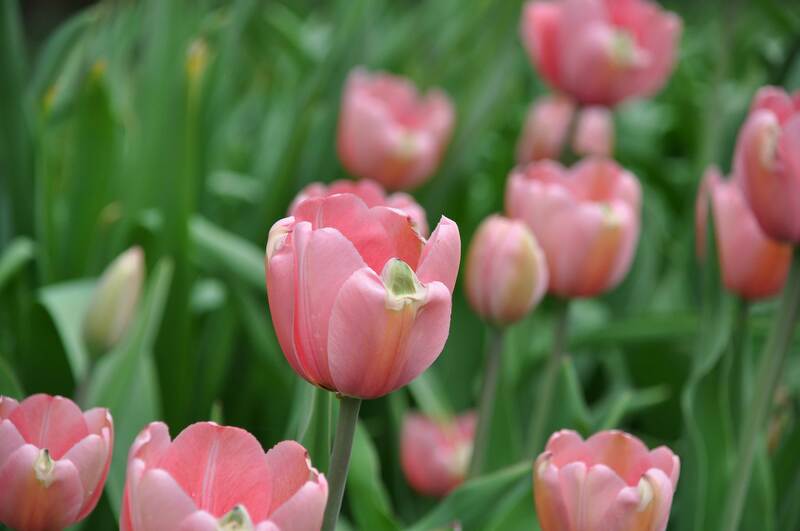 Things are really blooming around here! 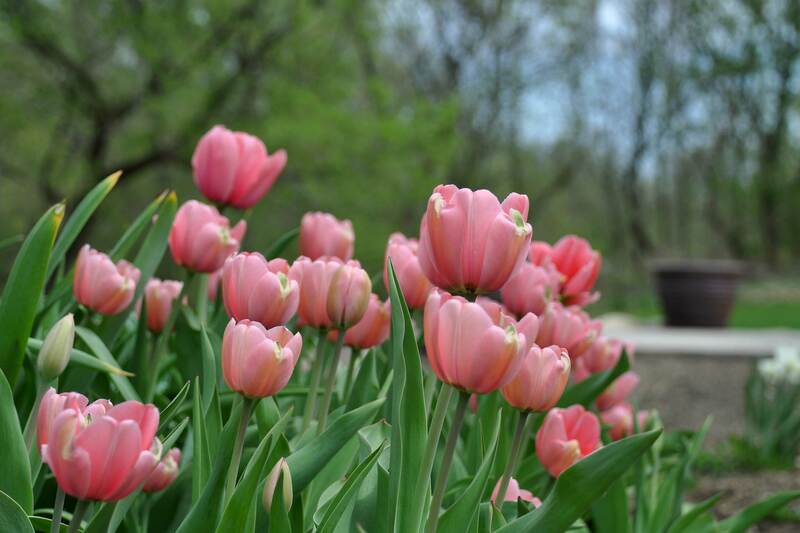 Hope you are enjoying spring blooms in your part of the world! I absolutely love this time of year. Everything is so lush and green as it springs to life and awakens from winter’s sleep. The tree leaves are finally starting to emerge from their buds, the birds have returned, the spring flowers have burst into bloom, and best of all, the mosquitoes have not yet hatched. My main perennial garden is located in front of our home in full sun. It looks like almost everything has survived the winter and is coming back strong.